In a paper published in the journal Science, researchers looked at health records from Kisumu, Kenya, a city of 200,000 with high levels of both diseases. They calculated that the interaction of the diseases increased AIDS cases by 8 percent and malaria by 13 percent. Over 25 years, that meant 8,500 additional AIDS cases and almost a million extra cases of malaria. The researchers drew on earlier findings that H.I.V.-positive people who get malaria experience a six- to eight-week spike in the level of the AIDS virus in their blood. During that spike, they are supercontagious, with double the usual chance of infecting a sexual partner. People with H.I.V. have also been proved more likely to catch malaria. The scientific paper in question is titled, Dual Infection with HIV and Malaria Fuels the Spread of Both Diseases in Sub-Saharan Africa, by Laith Abu-Raddad. 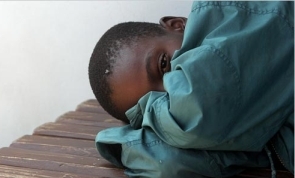 Mounting evidence has revealed pathological interactions between HIV and malaria in dually infected patients, but the public health implications of the interplay have remained unclear. A transient almost one-log elevation in HIV viral load occurs during febrile malaria episodes; in addition, susceptibility to malaria is enhanced in HIV-infected patients. Also take a look at this article from Yahoo News. For the first time, a study of HIV-infected pregnant women has found that coinfection with malaria significantly increased a mother’s risk of transmitting the AIDS virus to her baby before or during birth. It’s great that the mainstream media is finally taking a good, hard look (albeit a brief one) at the existing global health problems – all the more reason why we, as future medical professionals and global health advocates, need to push hard and continue lobbying and informing people.